Make waves in this reversible strappy swimsuit. 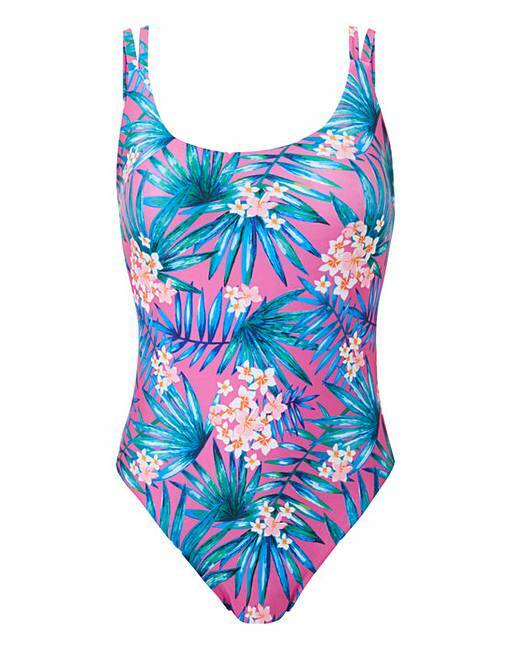 Complete with a pink tropical print on one side and a solid pink the other, there is a side to suit any mood! 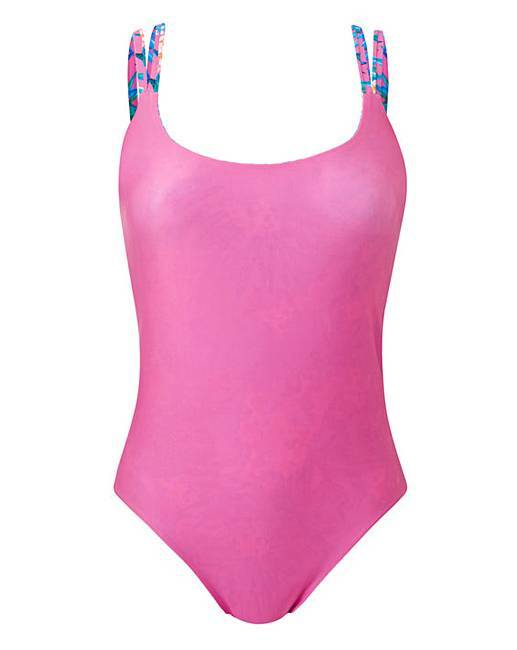 Featuring strappy back detail, this swimsuit is a definite must for your holiday wardrobe.